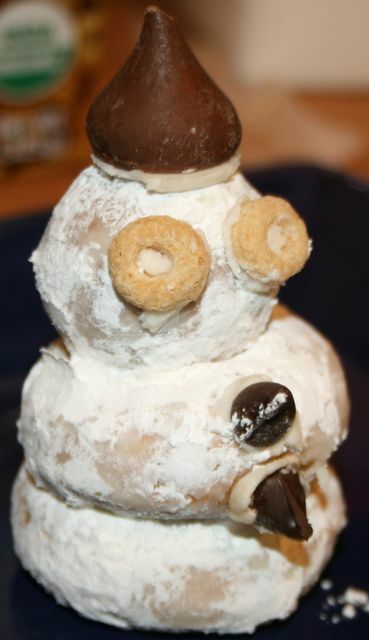 Back in December, I had to figure how to make powdered donuts for one of Sam’s Friday Fun Snacks, they were making snowmen from them. I needed 2 standard looking powdered donuts (with the hole in the middle) and one powdered donut hole. I had never made donuts before so I took a crash course on YouTube! Seriously, YouTube has some great videos of people doing just about any kind of cooking. Most videos are made using gluten ingredients, but you can pick up tips on how to do certain things (I have recently been watching some videos on how to makel egg rolls!) 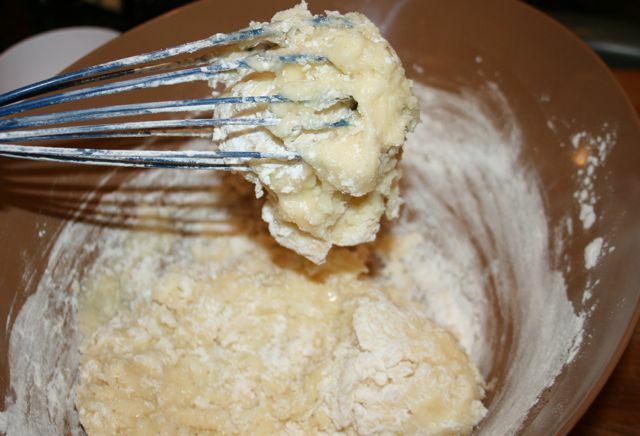 Anyhoo, before I could start cutting the donuts and frying them, I needed a good gluten-free recipe! I have 1 daughter, 1 husband, 5 chickens, 1 organic garden in a constant state of disrepair, 100 million books, 10 million skeins of yarn, 5 million cookbooks, 2 million projects in progress rolling around the house, and 1 PhD in theatre history/theory. I am gluten-intolerant. I also have a life-threatening allergy to wheat. My daughter has a life-threatening peanut allergy. This combo platter keeps life interesting, to say the least. I make fabulous gluten-free baked goods and it’s my goal to help others do the same. The reason I had to post this is because the first paragraph is SO me (without the PhD), which is probably why I like Jeanne so much! 🙂 I was just reading this post of Jeanne’s, and I thought it was great. The second paragraph is hysterical, because it is so true. I annoy the heck out of people when they go out to eat with me, because I show up with my camera! I am like Jeanne though, I fall into the “others” category too in regards to having beautiful food pictures that are like pieces of fine art (like Karina’s!). 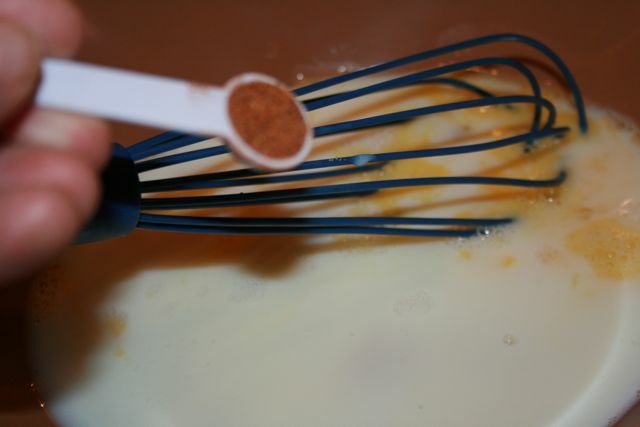 I do not even know how to use my camera, the pics from my Better Batter review were a fluke of nature! 😉 In the post, Jeanne links to a great video on a food photography workshop she attended (see the end of the post), and I highly recommend viewing it, if for no other reason than to see what goes on behind the scenes! 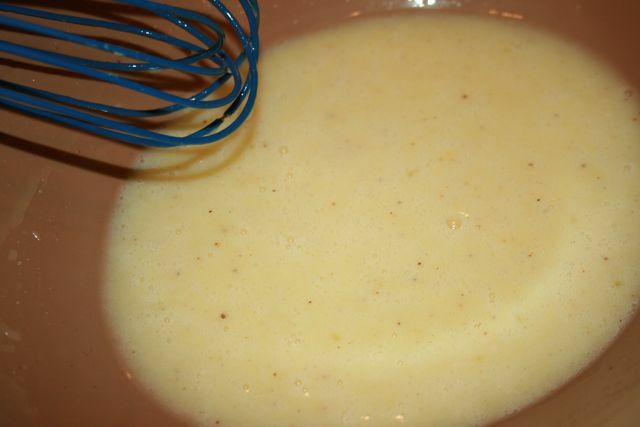 One last thing on Jeanne that I want to share, Jeanne has a recipe on the National Museum of American History’s blog, in the “Julia Child Recipe of the Week” section for Chantilly Meringuée or Elegant Ice Cream. I love Julia Child, she was a wonderful teacher who always seemed genuinely humble as evidenced by her willingness to show her many mistakes as well as many successes with her audience. She was real and made me feel as though I could cook that way too. Check out Jeanne’s blog, I am sure you will love it as much as I do! Anyway, on to the Powdered Donuts. I used a different blend of flour than the one Jeanne has posted on her blog because I already had some made up from the Christmas Eve Fritters I had been experimenting on. 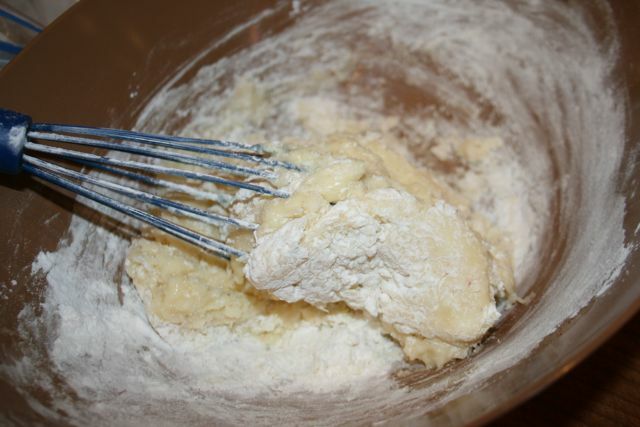 I used this flour blend that I found on Recipezaar. I will re-post it here too with the changes I made. 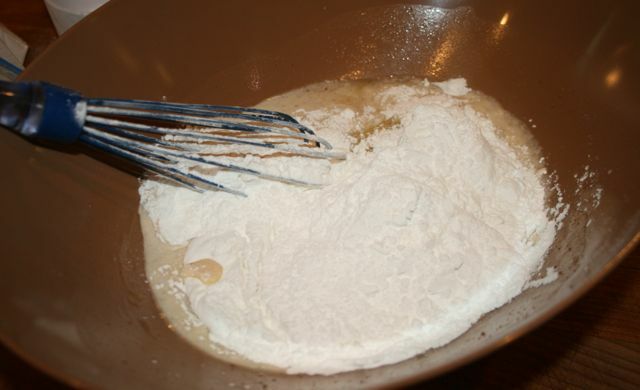 1/2 cup Tapioca Flour (I used Expandex Modified Tapioca Starch. 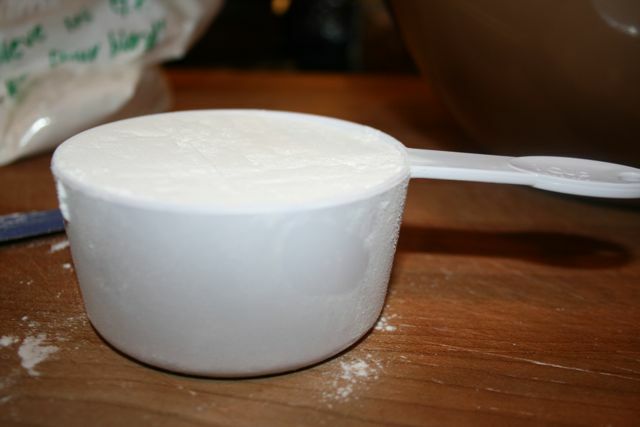 The word “flour” is used interchangeably with the word “Starch” when referring to Tapioca, this is NOT the case with Potato Starch and Potato Flour, they are two VERY different things). 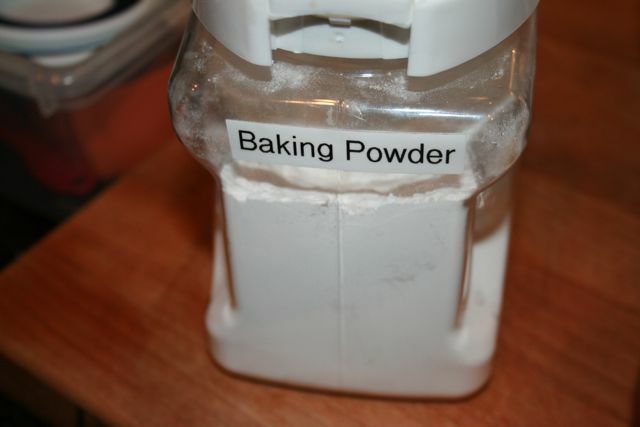 For powdered donuts, you will need confectioner’s sugar. 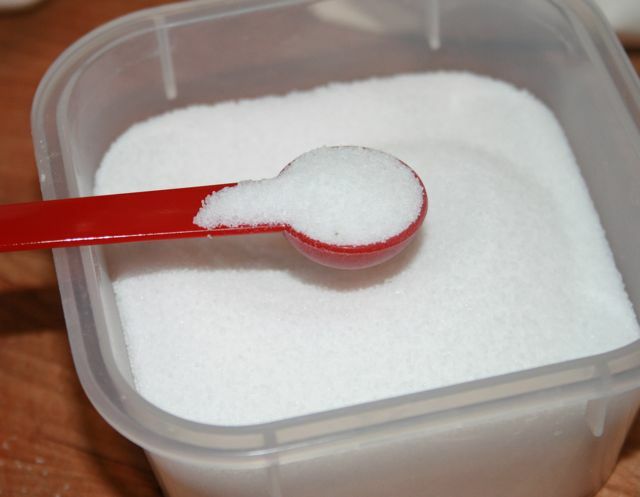 Whole Foods’ 365 brand of Organic Powdered Sugar uses Tapioca Starch instead of Cornstarch, if you avoid corn. You can see a photo of it here. 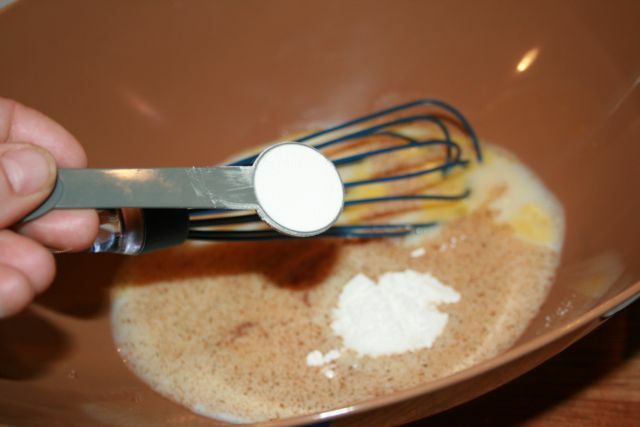 Or, you could roll the donuts in Granulated Sugar or a Cinnamon/Sugar mixture. Prepare to roll out the doughnuts. 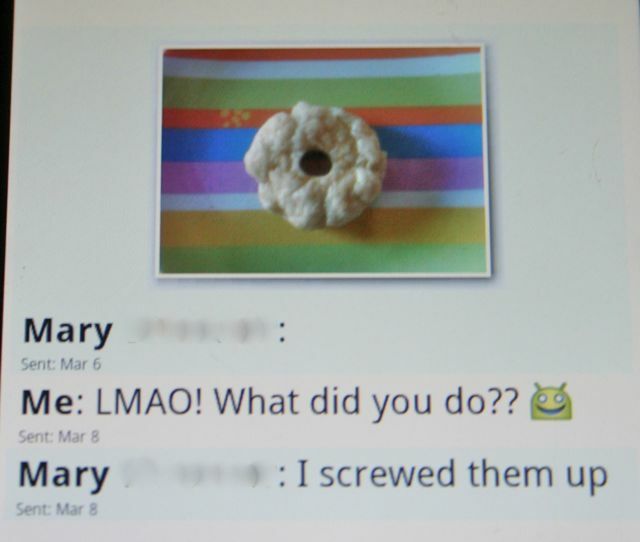 I (Jeanne) used a Silpat mat to roll out the dough. 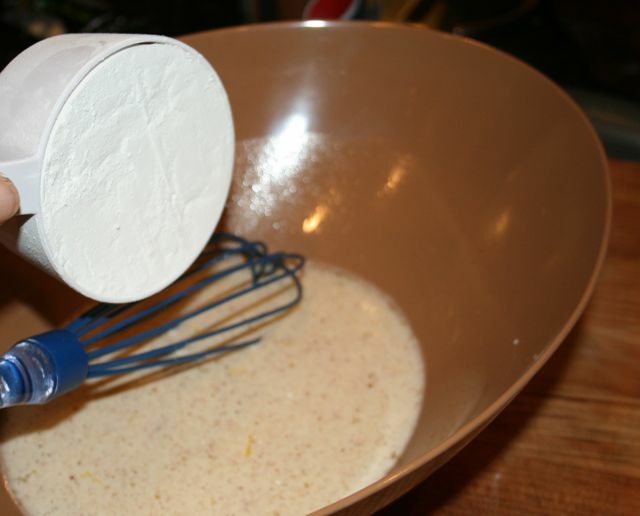 You can also dust your cutting board with flour and cut out there. 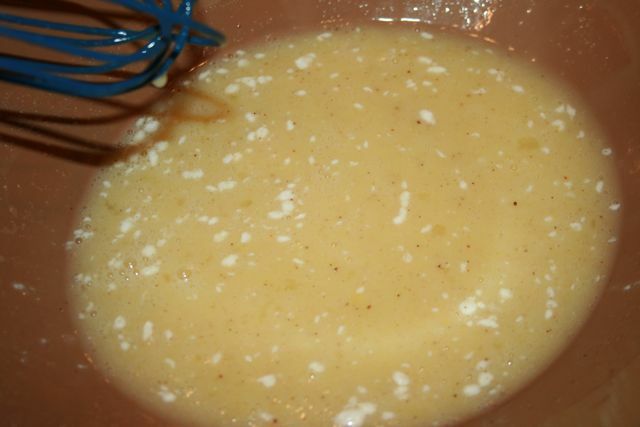 (I would use tapioca flour for this–it won’t add graininess to the dough). 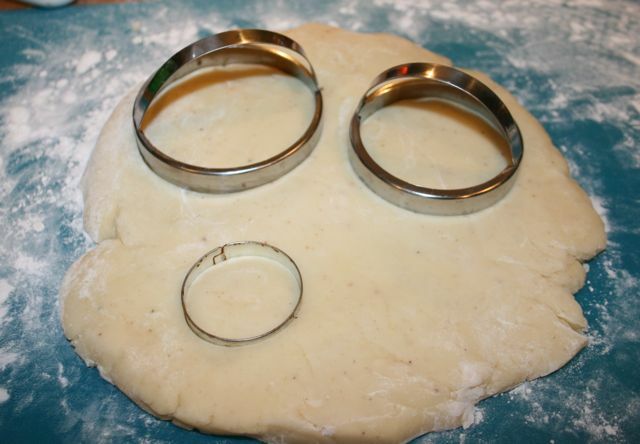 You may need to use a little flour for the biscuit cutters so they don’t stick to the dough. 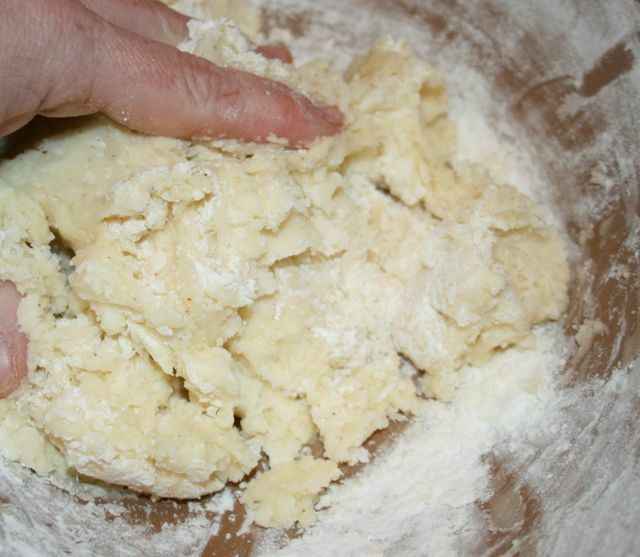 (I used the Tapioca Flour/Starch as Jeanne recommended and I also floured the biscuit cutters). 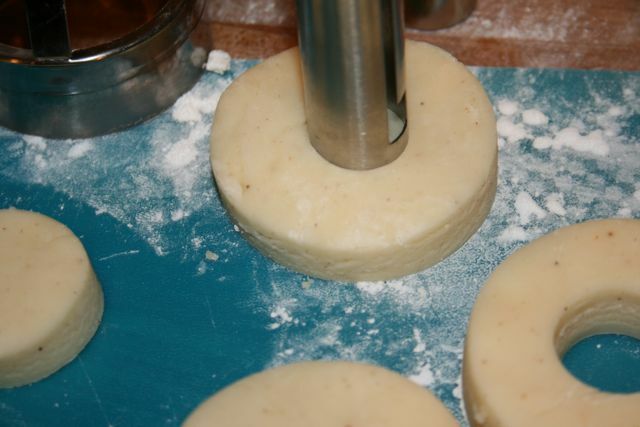 Cut out doughnuts with bigger biscuit cutter and doughnut holes with smaller biscuit cutter. 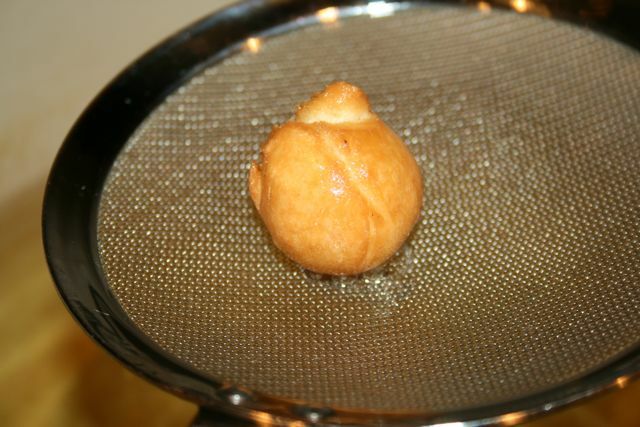 Or you can just use the smaller one and cut out a bunch of doughnut holes (because they are fun and easy to eat!). 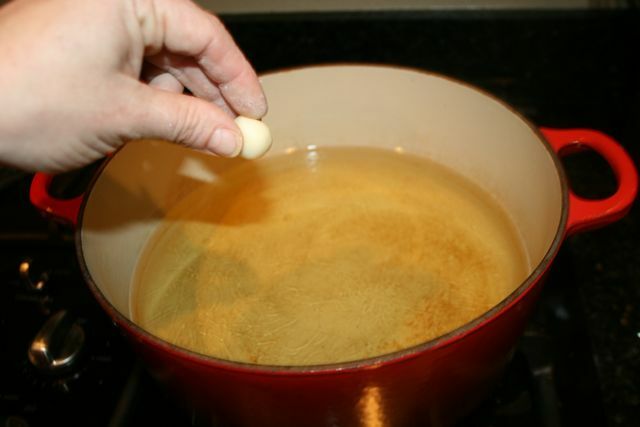 While you are cutting out the doughnuts, have the pan of oil on medium-high heat. 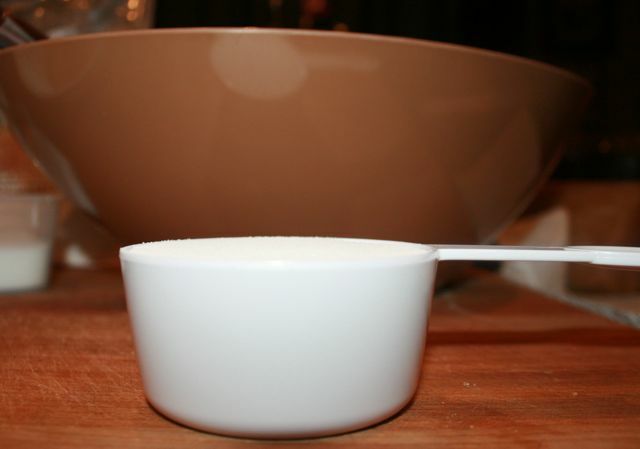 I use a small saucepan and I do several batches. This is so I don’t have to use a ton of oil. 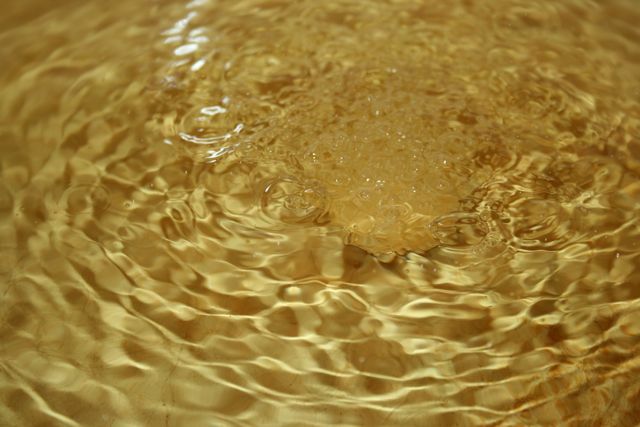 You need to have the oil deep enough that the doughnuts can cook be completely submerged and have oil all the way around them. 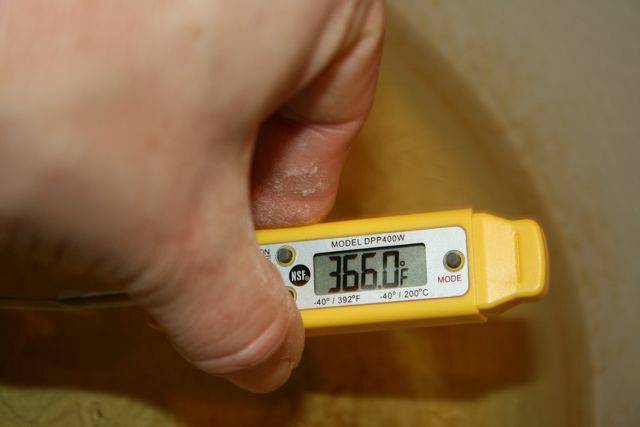 Oil should be around 360 degrees. 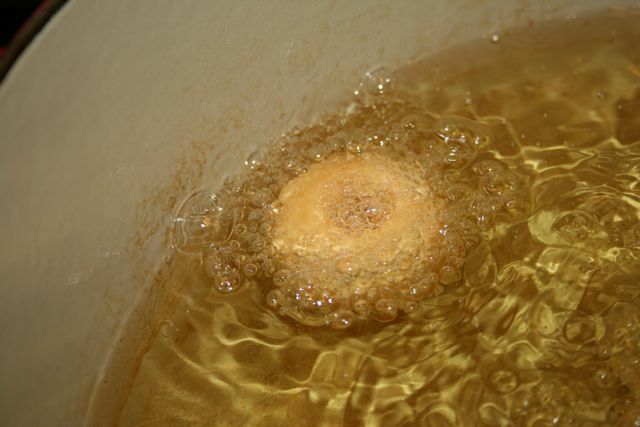 Carefully drop doughnuts and holes into oil. They should drop into the oil and start frying. After a couple of minutes, they will rise to the surface. 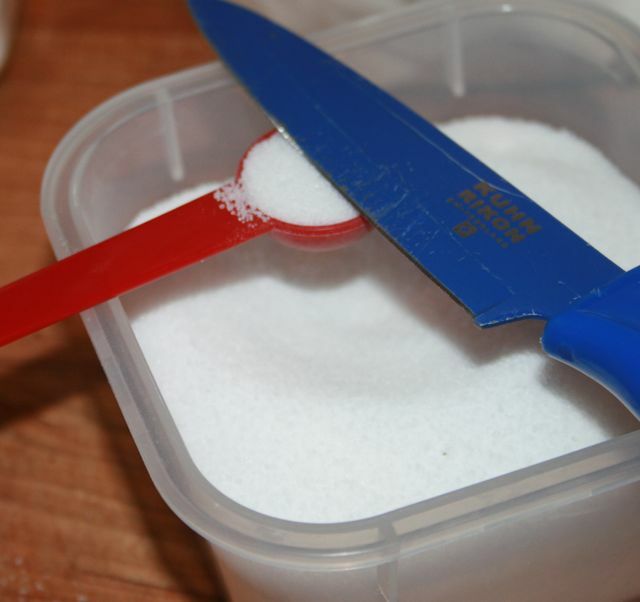 We like them as-is, but you can dust them with powdered sugar or granulated sugar, if you want. You can add a little cinnamon to the granulated sugar if you want cinnamon doughnuts. 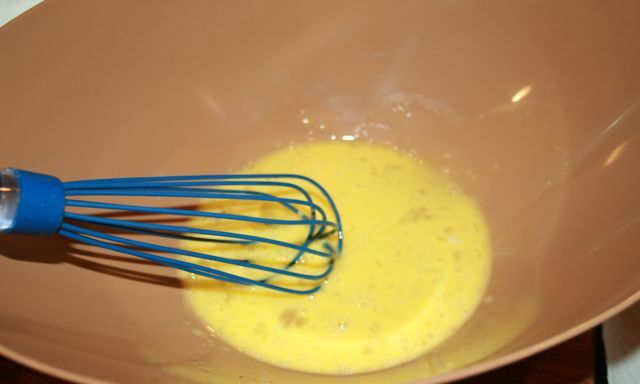 Visit Jeanne’s post for a printer-friendly version of her recipe. 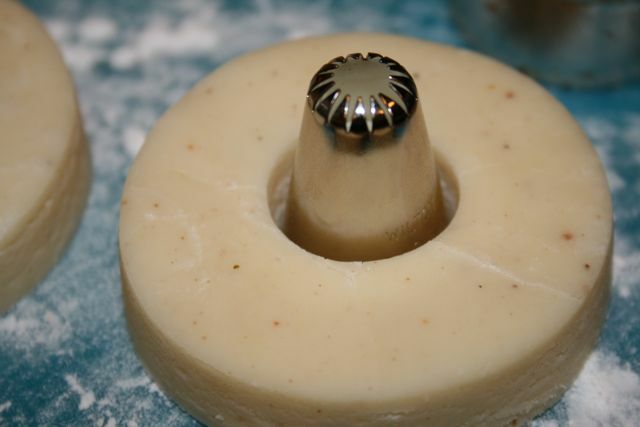 She also has a recipe for Gluten-Free Pumpkin Doughnuts that sound delicious! I laughed so hard, I cried! I thought Mary’s bagel looked like a pretty flower but my husband kept calling it a “Pattypan Squash from Farmville.” Oh, Lordy Pete, this still reduces me to tears, LOL! Just so you know, I have been there too, believe you me! Just look at my pretzel rods! 😉 So Mary, this photo tutorial is dedicated to you, my dear friend! 1 Tbs. 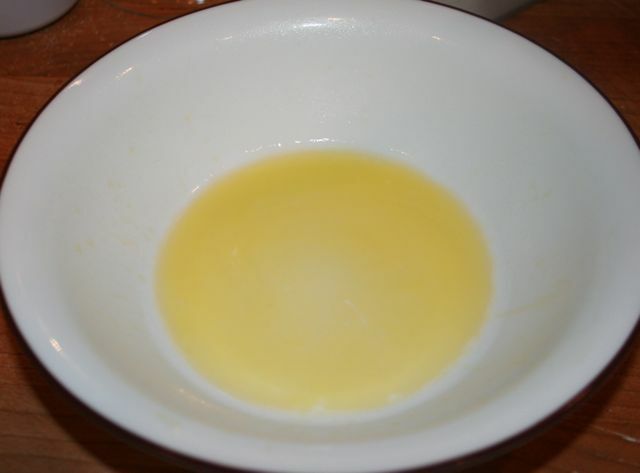 Butter (I used Original Smart Balance in the tub, and this may make my outcome different from a batch made with real butter). Level it off with a knife. Melted Smart Balance, set aside to cool for a minute before adding to the egg (so you don’t scramble the egg). 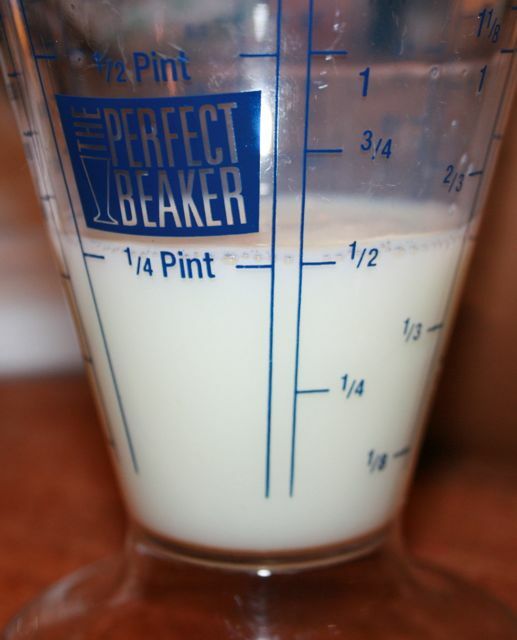 When measuring liquids, use a measuring cup meant for liquids. 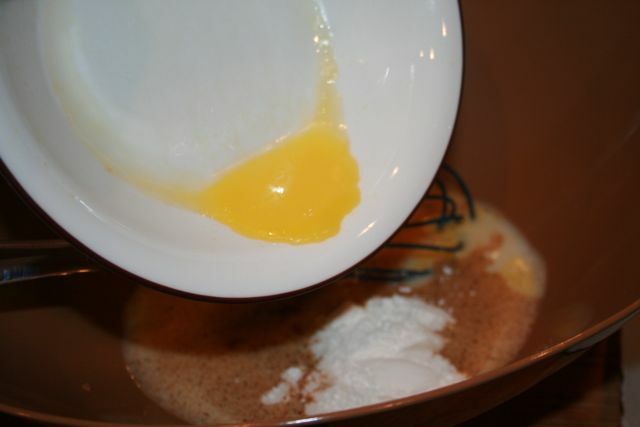 After pouring in the liquid, set the measuring cup on the counter then read for the correct amount (once it stops moving). 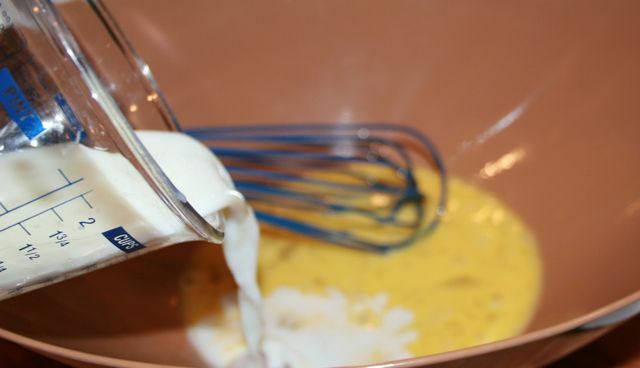 Baking (even frying donuts) is a precise science, don’t “eyeball” the ingredients. 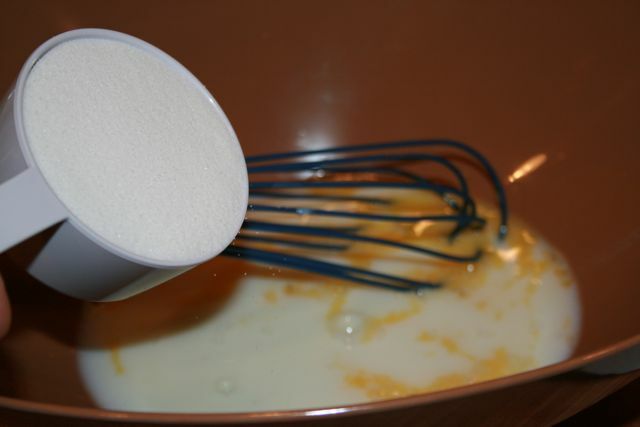 Add salt to the egg, milk and sugar mixture. 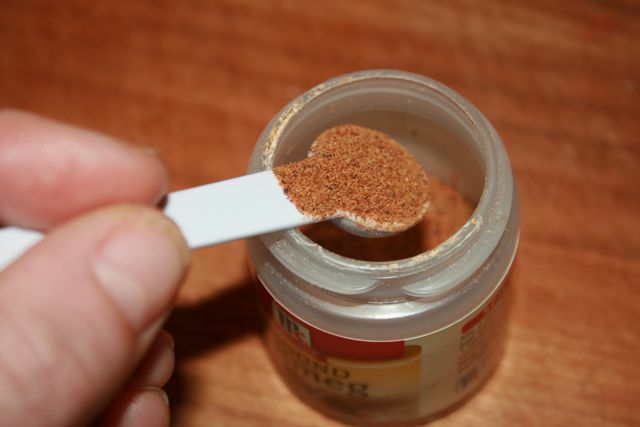 Do the same with the nutmeg, level it with a knife (too much nutmeg can be overpowering). 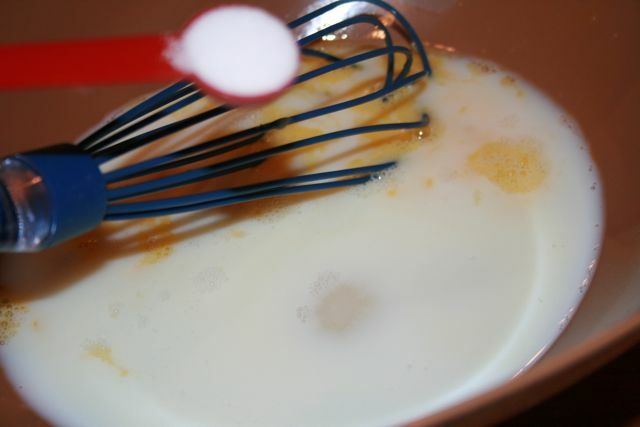 then add the cooled melted butter/Smart Balance, whisk together until well incorporated. 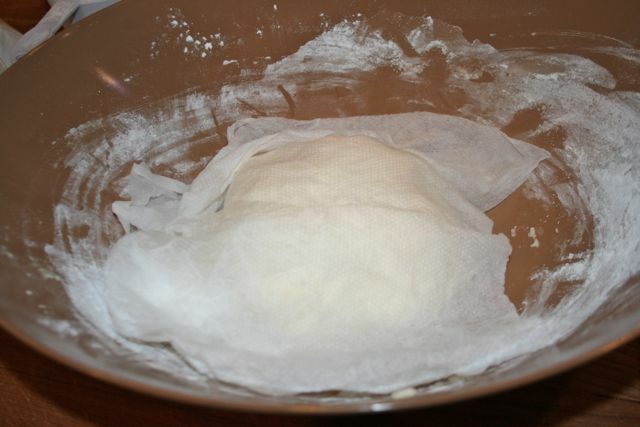 I cover my dough with a slightly damp towel (to keep the dough from drying out), then put in the fridge for about an hour. In the meantime, heat the oil. Oops, too hot! 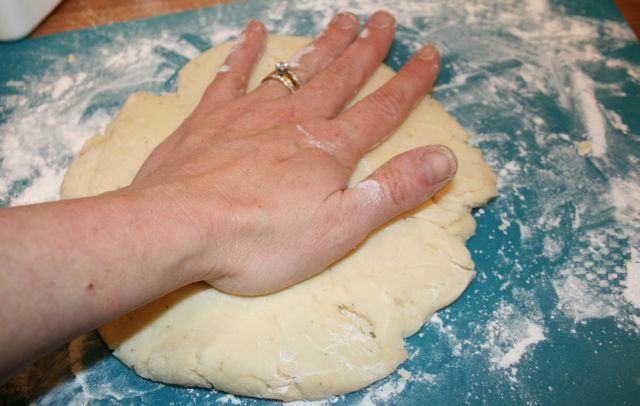 Reduce heat and allow the temperature to come down to 360° – 365° F.
Pat out the dough to approximately 1/2″ thickness (this is not a sticky, batter type dough, it is easy to handle). Or a glass, basically anything that is the desired shape and size you want! which makes it easy to pop out the dough! 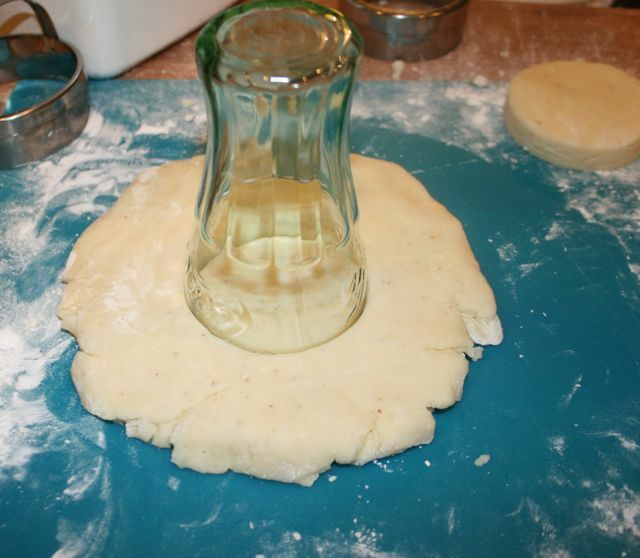 When you first drop in the dough, it will sink to the bottom. 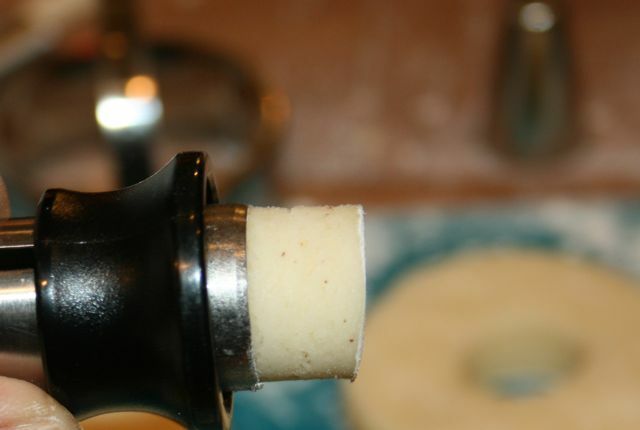 When it is close to done, the donut will “float” to the top. At this point, it is essentially trial and error, I have had many donuts that I thought were done, only to see them split as they were cooling with uncooked batter seeping through. 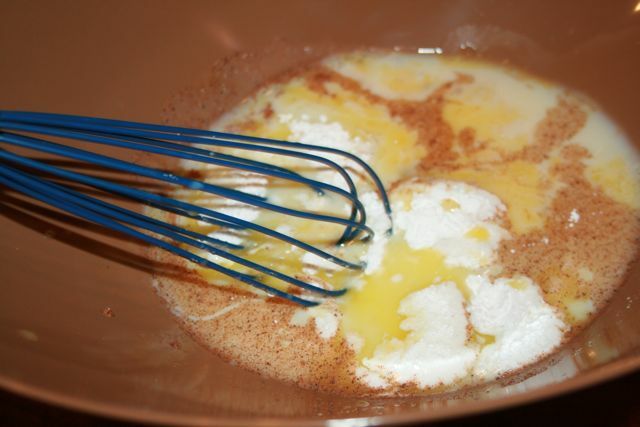 If this happens, just put back in the hot oil to cook some more, they won’t be pretty, but they will still taste good! 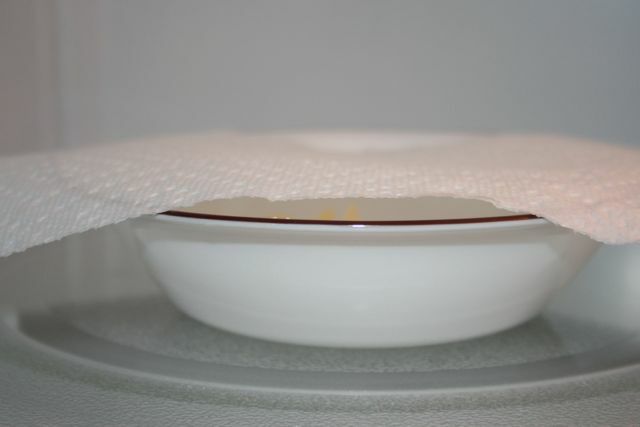 Remove donut from hot oil with a skimmer, place on paper towel to drain excess oil. Finish cooking off your donuts, then allow the donuts to drain and cool completely (if you don’t want the powdered sugar to melt into the donut). These will keep a few days if stored in an air-tight container. I definitely think Mary and I hit the “gluten-free ugly jackpot” this week! The icing wasn’t cooperating very well, and you have to be careful not to handle the donut too much or the powdered sugar comes off! The “O” cereal eyes you see are Nature’s Path Whole O’s, which are gluten-free. The chocolate chips are Nestle Toll House Semi-Sweet Morsels and the hat is a Hershey’s Kiss. Those look amazing! I will have to try those out for sure! Thanks Devan, hope you like them! My mouth is watering just thinking about these. Seriously though, if I keep making these kind of treats, there will be no bathing suit on me this summer…. Oh, who am I kidding? I'll probably make them this weekend. LOL. Oh Man have I missed doughnuts. I am going to have to try these. I know what you mean Heather! 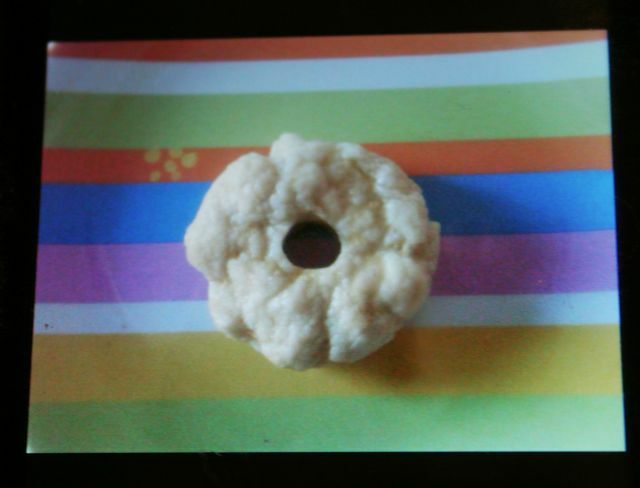 Here's a tip, make teeny tiny donuts… small portion sizes are how keep my weight in control! 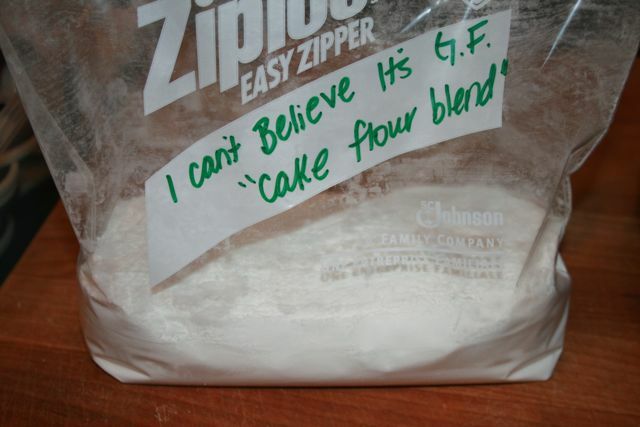 Also, whenever I make baked goods (which I obviously do a lot! ), I keep a few out, then FREEZE the rest (out of sight, out of mind). Then I can pull one out for the boys on the weekend here and there. How did you know?! I have doughnuts on my "menu" for this week. I was going to search for a good gf recipe or just try to tweak my whole wheat recipe…now I don't have to! Thanks again!! I was reading your post on CeliacKids about bumping up your daughter's caloric intake, how underweight is she? 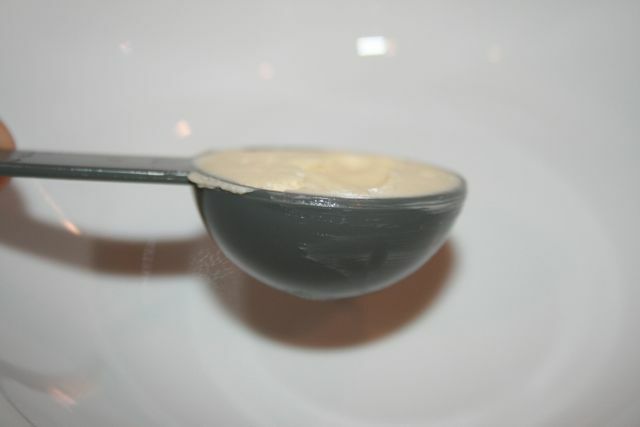 One thing I used to do when Luke was underweight (he was drinking hemp milk at the time), was to add a tsp. of hemp seed, flax seed or other healthy oil to each glass of hemp milk that he drank. I would also hide it in other foods. Maybe you could also grind up flax seed (or buy pre-ground flaxseed meal) and add a little (to something I could hide it in) for each meal. I will be doing more lunch ideas next week to kick off a new giveaway! Olive was just over 18 lbs a few weeks ago (at the time of her diagnosis). She is 23 months old. She has fallen off the growth chart all together (thankfully except for her head measurement which is still within normal). She won't touch any kind of milk right now. She won't touch much expect chex mix, Frito scoops, cheese, eggs and popcorn (which I smother in butter!). It is sooooo frustrating!! I am trying anything to fatten her up, but I would love some "healthy" stuff. She just won't touch it. I did manage to get about half of a simply yogurt "go-gurt" thing in her today. Might try some smoothies later. I can't wait to make these doughnuts. I think she will like them! Oh thank you so so much! I have dreamed of making my own doughnuts! OUr son who is five now has never had a doughnut bc of his allergies. 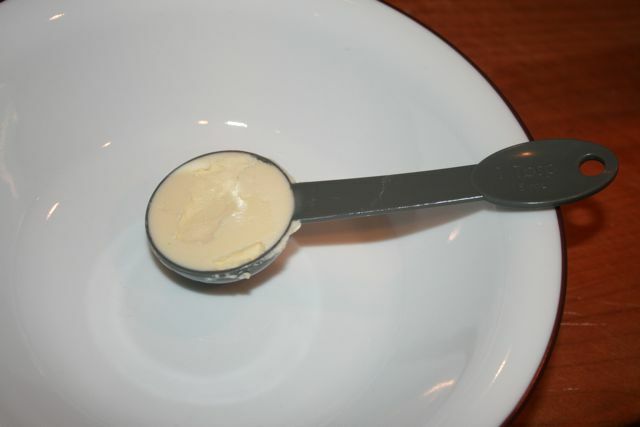 I know I could use soymilk, but will have to test out an egg replacer. Did you know that Kamut Khorasan Wheat is actually edible by some with gluten intolerance? It's bc it is an ancient wheat that has not been messed with! Just thought you may like to know 🙂 Thanks again. I really hope you like the donuts! 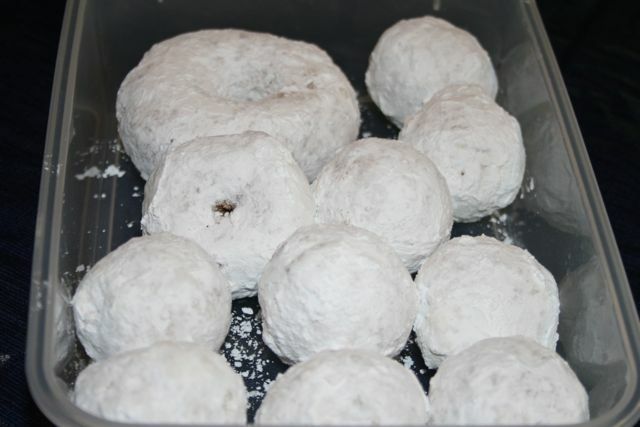 I have made the donuts with Ener-G Egg Replacer and they are good, just more dense. Thank you, thank you…this is one of my kids favorite treats for breakfast(occasionally) and I was sad about not being able to get them any longer. 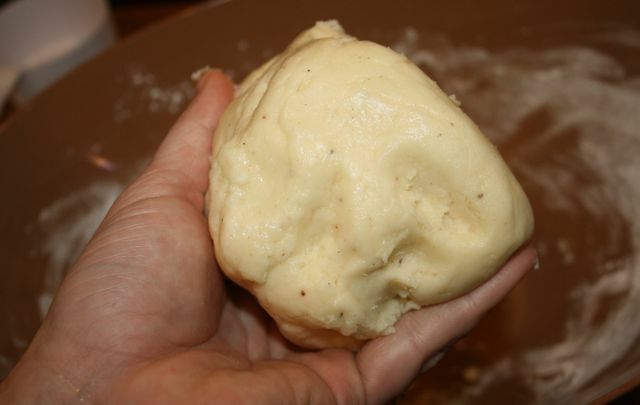 Now I will be able to make them myself…doing a happy dance:) We've been a gluten free family for one week now and I am so thankful for all of the people that are willing to share their experiences….and your posts are making me laugh big time….needed that…thanks again. Welcome to the "crazy train," it is a wacky ride but if one can learn to laugh along the way… it will be the most amazing ride of your life! you are just awesome!! these look SO good! Thank you SO Much for sharing this on my roundup this week! YUM!